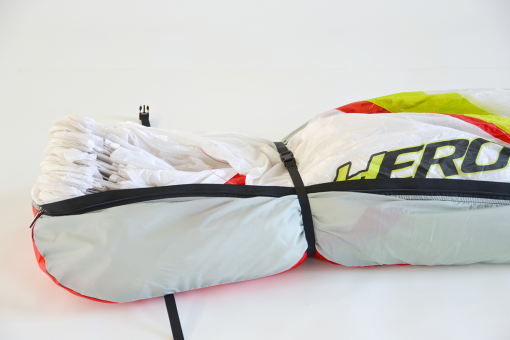 New ideas require new solutions, and with the trend of hike and fly gliders becoming smaller, packing volume also reduces. 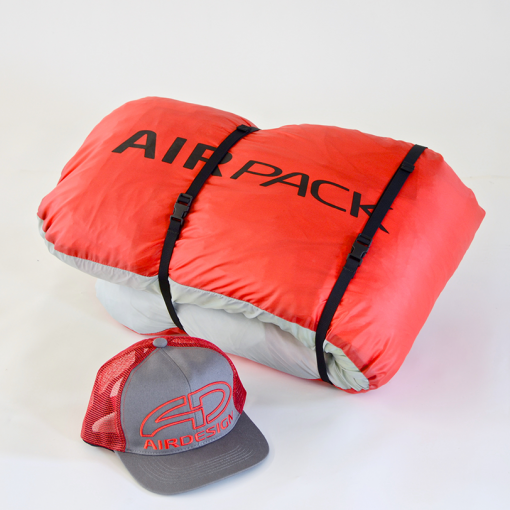 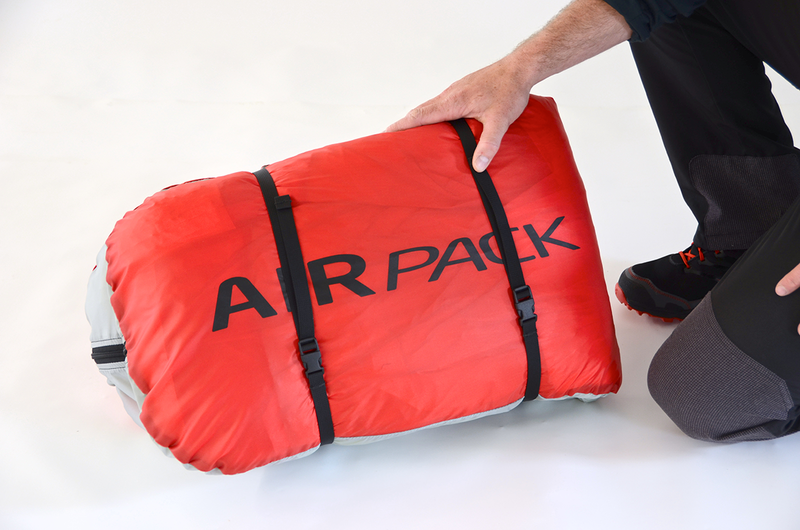 Introducing the new AirDesign AirPack 50/50. The 50/50 is the lightest concertina bag on the market. 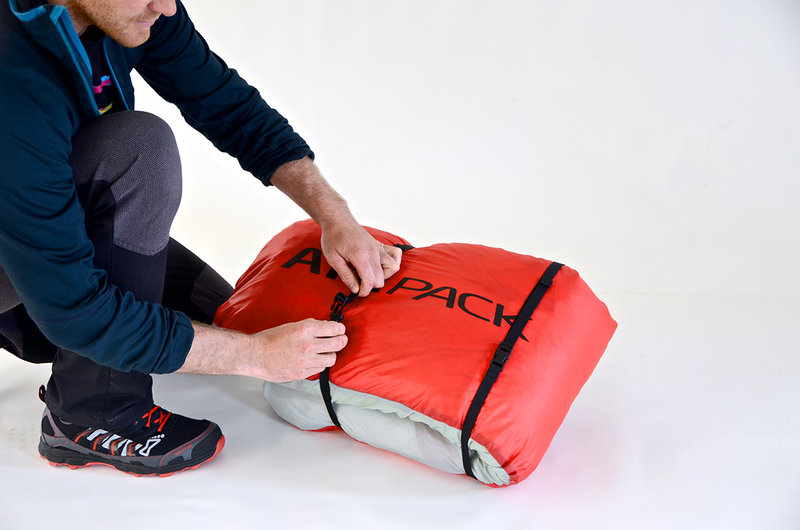 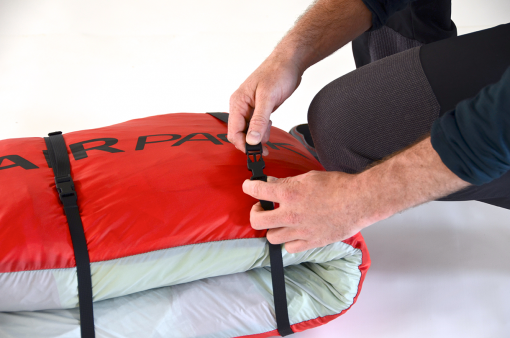 Weighing in at a tiny 160grams, and produced with durable and breathable materials, the 50/50’s smart design supports reduced packing volume, and most importantly, lower overall pack weight. 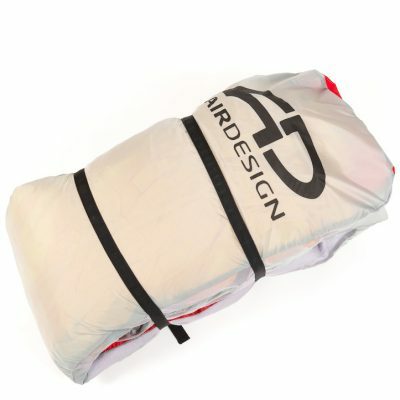 Cell pack your glider utilising the standard cell-to-cell packing methodology. The straps assist you to keep the now folded leading edge area organized and flat. 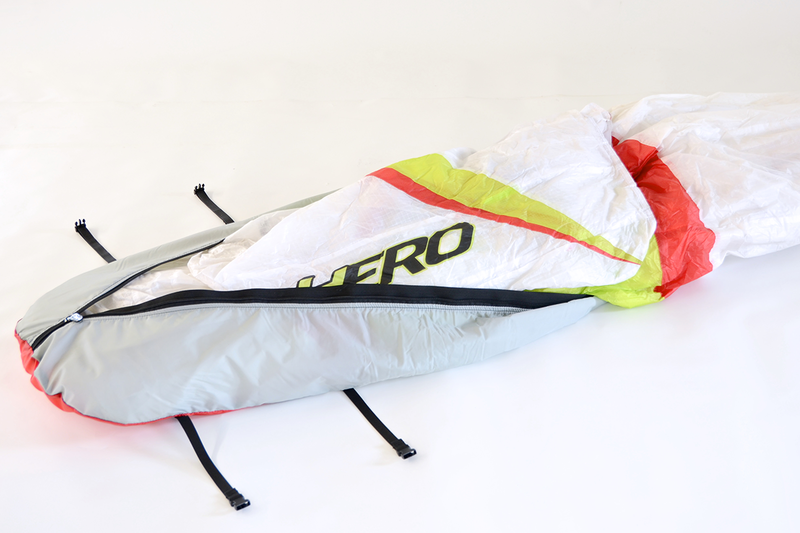 Then, simply fold the glider in half and close the zipper. 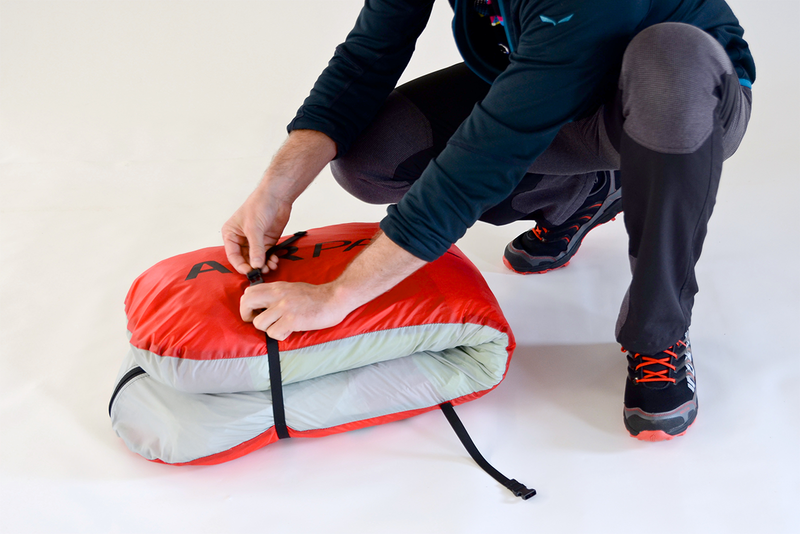 Fold it once again, and compress it with the tension straps, and you’re done! 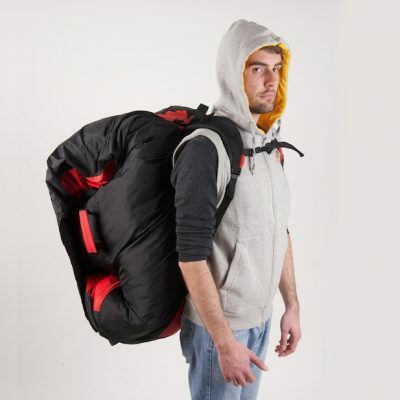 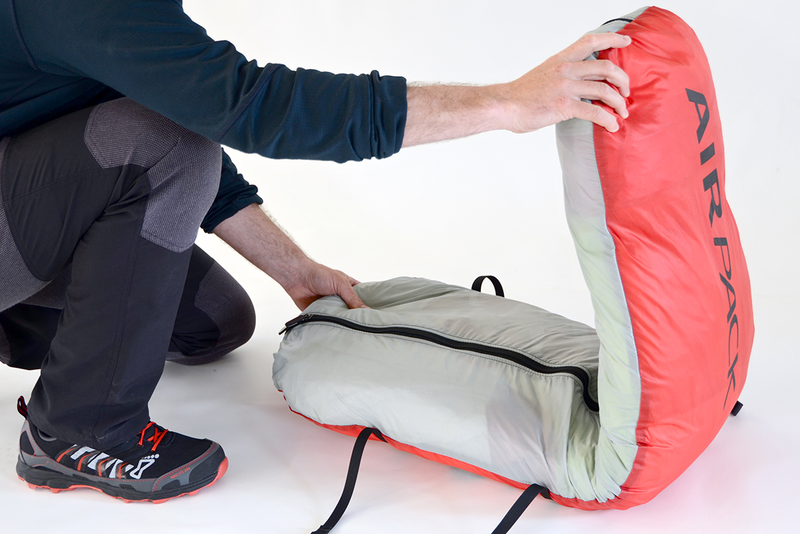 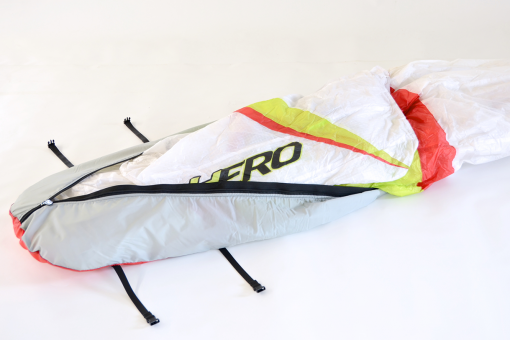 The 50/50 was developed to support the HERO, and all sizes are supported with the size S 50/50. 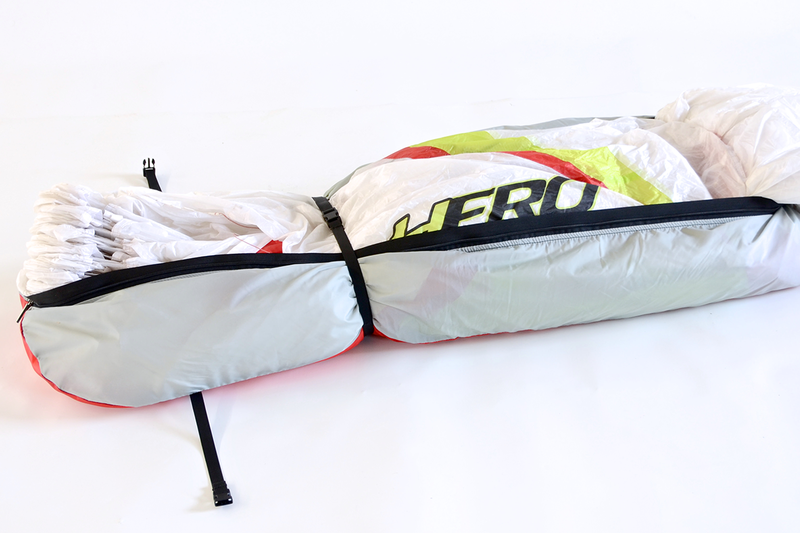 The 50/50 is also suitable for lightweight gliders from other manufacturers. 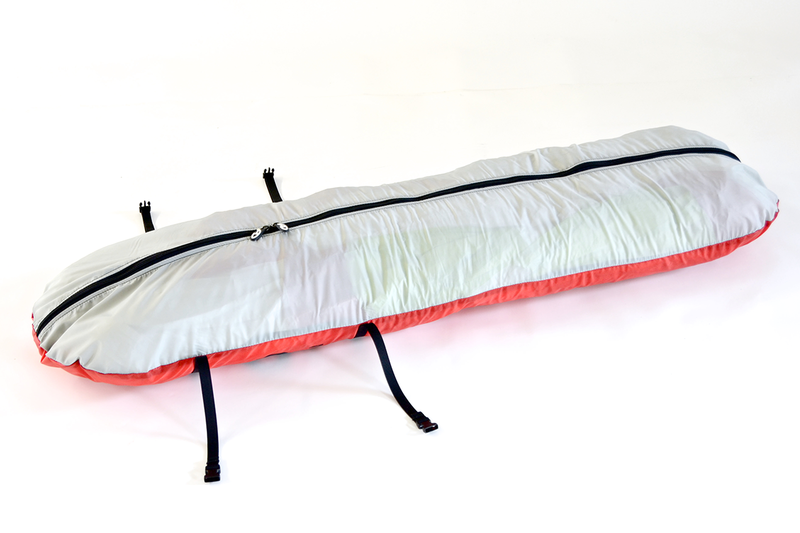 To find your corresponding 50/50 size, simply double the length of the 50/50 and compare it to the chord length of your glider (leading-edge to trailing-edge length measurement at the centre) to +/- 15cm. For example; if your glider has a chord length of 285cm, then the 50/50 in size M is right for you. *If your glider is equipped with nylon rods longer than 60–65cm, it is not recommended that you utilise this concertina bag due to possible rod flex/bend.